What Is It and Who Suffers? Restless Legs Syndrome, or RLS, is one of the most prominent sleep disorders and one of the most undiagnosed and dismissed. The key sign of RLS is discomfort, or creepy-crawlies, in the legs. If you have RLS you may have mild symptoms, twitching or jumping sensations in your legs that won’t let you keep them still, or you may have painful sensations. Many people with serious RLS are unable to get relief even when lying down, which ultimately results in sleep deprivation and chronic insomnia symptoms. Why Is RLS a Sleep Disorder? A sleep disorder disrupts your sleep-cycle on a regular and chronic basis and can be accompanied by serious medical conditions and root causes. Sleep apnea is a sleep disorder, as is narcolepsy, and RLS. Insomnia is not; it is instead the symptoms of sleep disorders and sleep disturbances. RLS may increase in severity at night. If you think lying down would reduce the leg problems for many people it can actually worsen the symptoms. If your legs are painful and twitching it’s likely that your sleep will be regularly interrupted. RLS sufferers report insomnia symptoms—extreme fatigue, irritability, difficulties concentrating at work or school, mobility impairment and excess work and school absences. Sometimes and for unexplained reasons, RLS can be accompanied by periodic limb movement disorder or PLMD, also a sleep disorder. 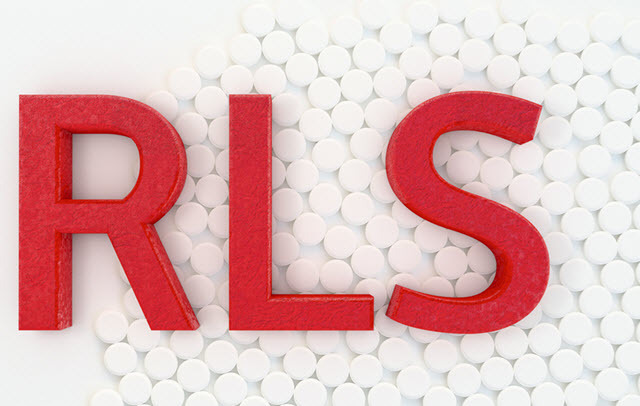 Causes for RLS remain elusive and research and clinical trials continue. Some studies indicate that brain dopamine levels may influence restless legs, others indicate strong genetic components, pregnancy can bring about temporary bouts of RLS, and dietary vitamin deficiencies, especially iron and magnesium, can increase mild RLS symptoms. RLS can occur at every age, but more people seem to suffer RLS as they age or symptoms that could have occurred mildly all along, worsen. Compounding this, too, is the theory that certain medical conditions can contribute to RLS. Sleep disorders, on the whole, account for disrupted sleep and insomnia among as many as 70 million Americans. * The most disturbing aspects of this number, though, is that many more go undiagnosed, misdiagnosed, and otherwise ignored. Sleep disorders, and RLS, can easily be discounted by sufferers as nuisance problems and the severity of symptoms and effect on lifestyle discounted by many physicians.